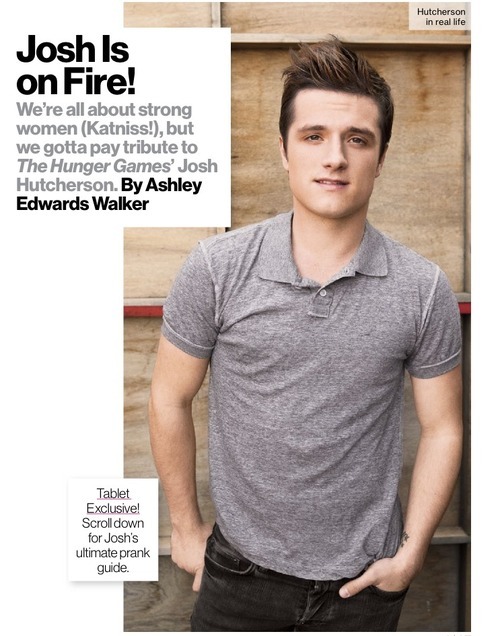 Josh Hutcherson Glamour Magazine Tablet Exclusive “Tips for Pulling Off Perfect Pranks”. . Wallpaper and background images in the josh hutcherson club tagged: josh hutcherson peeta mellark actor the hunger games hutcherson josh 2013 jennifer lawrence. This josh hutcherson photo might contain tanda, poster, teks, papan tulis, potret, headshot, and closeup.